Looking for an impressive lineup of new cars for sale near Woodburn right now? Then come to Wilsonville Jeep Ram in Wilsonville today to check out our stellar selection of new Chrysler sedans and minivans, new Dodge sports cars and minivans, new RAM trucks, and new Jeep SUVs. Choose from popular models like the new RAM 1500, new Jeep Cherokee, and new Dodge Journey. At our dealership, we have plenty of financing and lease options available, as well as a rotating lineup of new vehicle specials, and all your have to do to get started is apply for financing online. Ready to get behind the wheel of a new Chrysler, Dodge, Jeep, or RAM vehicle today? 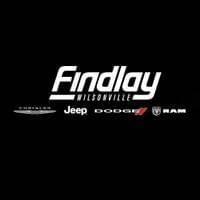 Then value your trade online and then come by Wilsonville Jeep Ram to take a test drive. Our dealership is located near Salem, and our finance team will work with you to find a lease or finance plan that fits into your budget. And whenever you’re in need of CDJR service, you can always depend on our certified CDJR technicians. Got questions? Give us a call any day of the week at (503) 498-6637.